Rust College opened the season on the road Friday, February 1st in Atlanta, Georgia taking on Clark Atlanta University in a non-conference season opener for both programs. 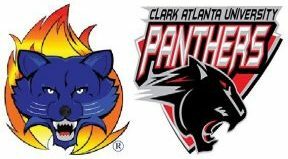 The two teams split a scheduled twin bill with Rust Bearcats taking the first game by a score of 8-6 then Clark Atlanta Panthers bounced back to win the second game by the score of 12-10. The games were played at the Panthers home field at Bill Evans Field in College Park, Ga. In game one, Rust leadoff hitter Jordan Robinson got things started by reaching base and scored the first run taking a 1-0 lead. They would add two more runs in the top of the second inning with back to back doubles by freshman outfielder Jikari Martin and Ahmir Mitchell to take an early 2-0 lead. Rust would add another run in the top of the third inning going up 3-0. 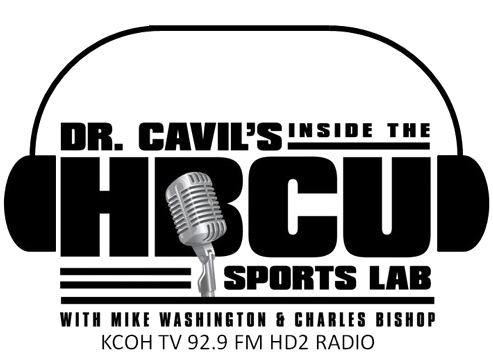 Clark Atlanta scored one run in the bottom of the third cutting the deficit to 3-1. In the top of the fourth, the Bearcats’ Ahmir Mitchell led off the inning with a home run. The next batter, Jikari Martin singled and scored on a Nicholas Durrah home run for a 6-1 lead. 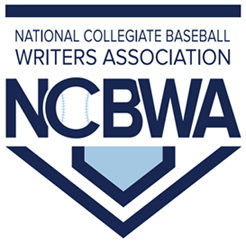 Clark Atlanta continued to battle back in the bottom of the fourth cut the lead to 6-4. Rust would plate two more runs to make it 8-4. In the bottom of the seventh inning Rust freshman starter Robert McDaniel allowed the Panthers two more runs to cross the plate before Daniel Baez came in to end the threat and get the save handing Rust its first win of the season. McDaniel (1-0) got the start, he allowed three earned runs, one unearned while striking out six in 6-1/3 innings on the mound. Baez came on to relieve McDaniel and got the next three outs to end the game. Martin led the way for the Bearcats at the plate as he went 3 for 3 with two singles, one double and three runs scored. To go along with Martin, Mitchell went 1 for 3 with one home run, Devon Meachum went 2 for 2 with a double and a single and Durrah had one home run. All had an RBI in the contest. In game two, Atlanta native, freshman starter Jarrold Bibbs took the mound. Rust would get on board and go up 2-0 in the top of the first inning with back to back singles from Tyler Winston and Atlanta native Jeremiah Hendrix. In the bottom of the inning, Clark Atlanta made it a 2-1 game on a home run by Calvin Butler. In the bottom of the second inning, the Panthers tied the game at 2-2 on a Garett Alexander deep solo shot clearing the left field fence. Clark Atlanta took its first lead of the game, a double off the bat of Jason Howell and Butler second home run in the game put the Panthers up 4-2. In the top of the fourth inning, Rust exploded with eight runs with singles by Claude Hayes, Tyler Winston, Jose Rosario, Ahmir Mitchell. Jikari Martin then doubled followed by another home run by Nicholas Durrah, his second of the day. Single’s by Mitchell and Martin gave each two in the inning and Rust led 10-4 midway through the contest. Clark Atlanta answered back tieing the game with a six run rally in the bottom of the fourth. Bibbs walked Alexander leading off the inning and scored on a home run by Demoni Brantley. Ceontae Brandon singled, DeAndre Swift walked and both scored on a double by Howell. Butler walked, Jordan Johnson reached on a fielding miscue in the outfield and both scored on a Mckaleb Harlemon double which knotted up the game at 10-10. The Panthers would add two more in the bottom of the fifth for a 12-10 lead. The Bearcats were unable to generate any offense in the final two innings to get back into the game as Clark Atlanta was able to pick up the final outs for their first win of the season. The Panthers played long ball in game two. Butler led the way at the plate as he went 2 for 3 with two home runs and three runs scored. In addition, Alexander homered and had one run batted in, Howell hit two doubles with two runs driven in, Brantley collected a home run and two runs batted in and Harlemon doubled and had two runs batted in. Howell, Brantley and Harlemon drove in two runs each.